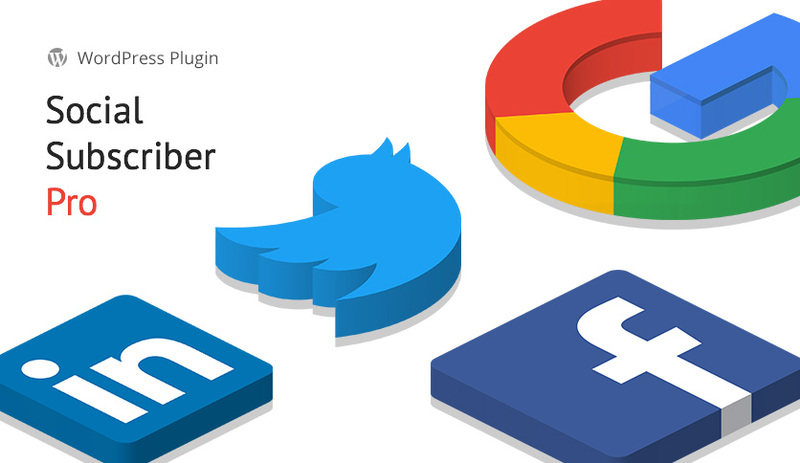 Social Subscriber Pro – it’s an ideal WordPress plugin, that allows users of your site to subscribe easily to mailing, using one of their favorite social network account. The extension serves to connect and conveniently edit various subscription buttons. There are recommendations for creating API application, insertion of shortcodes and much more in the settings. using shortcodes with several attributes. Integration with email marketing services allows you to add immediately a user to the appropriate mailing lists. Flexible customization of buttons will help to display harmoniously subscription elements in accordance with the style of your site. use shortcodes to display the social subscription button in posts and on the site pages. Add and change the attributes of the item display: specify the name of the social network, set the text for the button, set the user’s redirection after subscribing to the desired page. Organize a quick and easy subscription to mailing through social networks with the help of Social Subscriber Pro plugin. Social Subscriber Pro is the functional plugin for subscribing users to the mailing via social networks. The extension allows you to attract a greater number of interested subscribers. The tool will be an effective solution for increasing the attendance of the web resource and the growth of its popularity.